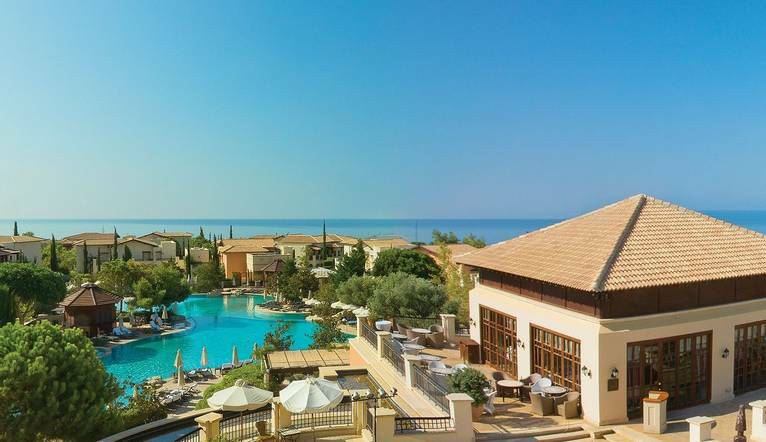 Back by popular demand, this fantastic golf holiday is based at the 5 star Aphrodite Hills Hotel overlooking the site where Aphrodite, the goddess of love, is said to have emerged from the sea. Enjoy 5 rounds of organised golf in this unique location on the fabulous and recently renovated course designed by Cabell Robinson. Join us as we return to the 5 star Aphrodite Hills for another fantastic golfing week! Our stay includes five rounds of organised, friendly competitions and on each of these rounds, a buggy is included. We are sure this wonderful resort, which was refurbished in 2015 will provide a wonderful base for this holiday, and your stay includes drinks at the hotel in the evening, so we are sure there will be some fun, social post-golf debates to enjoy. This wonderful course has been designed by Cabell Robinson to the highest standards, with PGA championship competitions in mind. The location is visually stunning, set on a cliff top with breathtaking views of the Mediterranean. The immaculate fairways have an open parkland aspect and wind through olive and carob groves. The course is spread across two plateaux separated by a dramatic ravine, which lies between tee and green, providing a thrilling test for all golfers. This course requires precise negotiation at every turn. Well-placed bunkers, lakes and tiered greens combine to ensure that each round on this exceptional course will offer an exciting challenge. Well organised holiday, fantastic hotel and golf course chosen by Solos. It was a perfect holiday! 5 rounds of organised golf per week on Aphrodite Hills Golf Course. Buggies are compulsory and are included in the cost of the holiday.